BBCのWebでは、次の記事があった。The committee urged the South Korean Olympic committee to take "swift action on this issue" and said the player should not be present at the medal ceremony, which took place on Saturday. 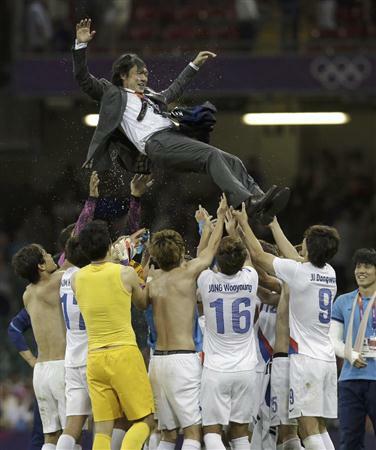 A Korean Football Association official later named him as Park Jong-woo, 23 - who was not present at the ceremony. Football's governing body, Fifa, said it had opened a separate investigation to discipline him.